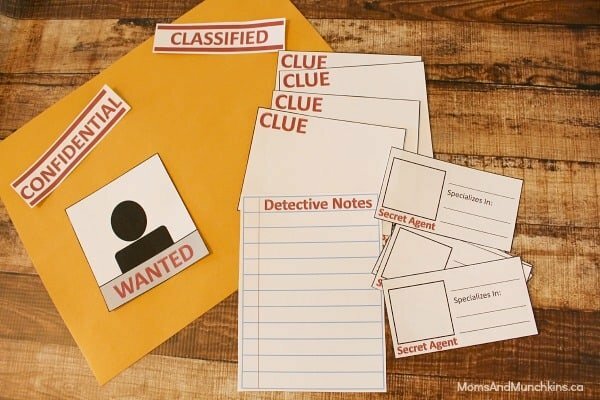 A mystery party just wouldn’t be complete without a fun mystery to solve! Perhaps someone has stolen the birthday gifts, the favors or maybe even the cake (NO! Not the cake!) and your party guests have to solve the mystery before they get to dig in. 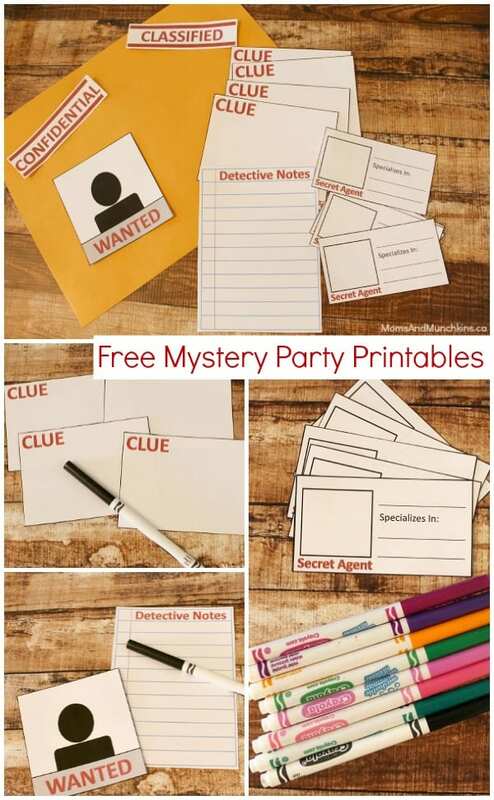 Today we’re sharing some free mystery party printables to help with your mystery party activities. You can also visit our special Mystery category for even more fun ideas. 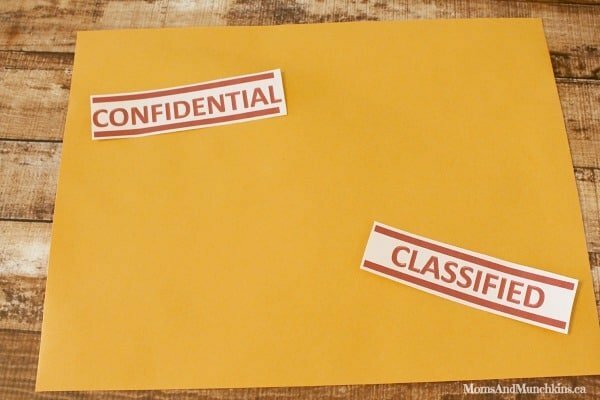 These envelopes could include evidence, clues, detective supplies, etc. to help the little detectives to solve the mystery. 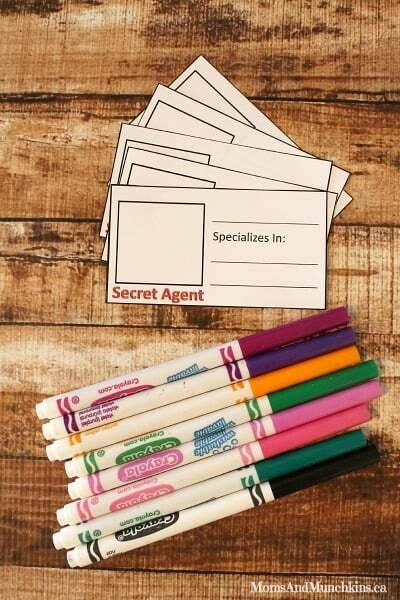 You could also use these tags on special “Secret Agent” bags including detective tools like magnifying glasses, binoculars, ink pad fingerprint kits and more. 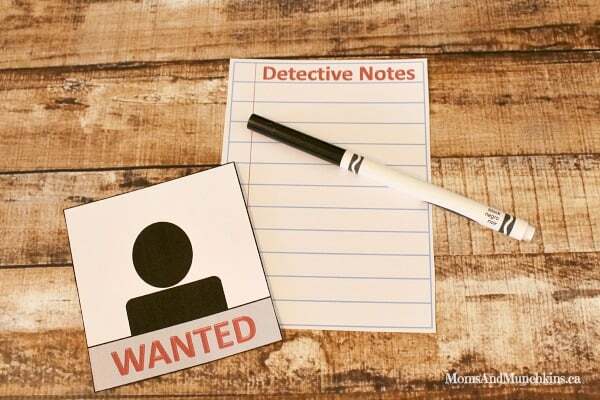 The Detective notes can be used to write down evidence to help them solve the mystery. 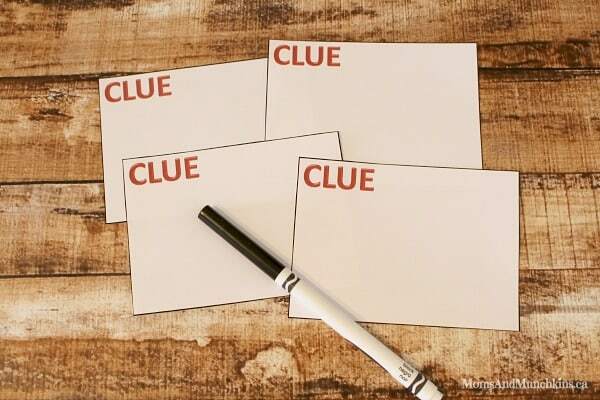 Clues could be written and hidden around the house for the guests to find. You can lead them to these clues with footprints, riddles and more. Every agent needs a special Secret Agent badge. Kids can draw a picture of themselves on it, write their name on the first line and then a couple of points about their areas of specialty like Master Of Riddles, Special Agent Dog Trainer, etc. You can print the entire Mystery Printables set here. Don’t forget to visit our Mystery category for even more fun ideas like activities, favors, decorations and more. For even more fun party ideas, visit our special Themed Party Ideas page. We’re always adding new ideas! Never miss an update by following us on Facebook, Twitter, Pinterest, Google + and Bloglovin’. This is SO cute! Thank you so much for posting and giving it as a freebie. This was such a blessing to run across today! Long day in the teacher world. I am going to use this with my small reading group after we read a detective book. Thank you, thank you, thank you! You are so sweet! Thank you for your kind comment! This saved my day! Thank you sooo much! I am having a mystery themed party for one of my sons tomorrow and haven’t put it all together yet. This will save me a lot of time and aggravation. Thank you! Glad we could help, Ruth! I’m planning a party for adults but this will be perfect for my daughter as she loves pretend and always searching for a new mission! I can use this for my son as well when he’s old enough!! Thank you sooo much! I can use the clue cards and the labels for the adult party too!! Thank you!! This is great!! Thank you so much for your kind words, Michelle! I hope you had a great party!